I wintered in my hometown for the first time in decades, as Mom healed from her injury. Witnessing her unrelenting pain, and being utterly helpless to alleviate her discomfort, I was led to take long walks in the country. Day by day, I walked the familiar terrain of my childhood. The beauty of Mother Nature, whether in bleak mid-winter, or in the warmer days of subsequent trips home the next year, struck me as being the one constant in the world: Ever-changing Loveliness. Thus, Bella Natura (Italian for "Beautiful Nature") came to be. If Nature isn't operatic, in its ability to evoke drama, emotion, and peace, I don't know what is. Never one to sleep in on vacation, I captured this scene of Mother Nature's splendor early one perfect summer morning in the Adirondacks. The combination of dew, mist, water, sun, shade, flora, and mountain majesty makes Mirror Lake one of the unofficial Wonders of the World, I think. On the corner of Melrose and O'Neill Roads outside of Auburn, NY (along the route known as the "back way home" from Skaneateles) is where I've always measured the growth of the corn by the "knee high by the 4th of July" stick. In October, the corn had already been harvested, but there remained one lone sentinel that missed the blades of the reaper. Rather than seeing the stalk as the one left behind, I see him as, literally, a "standout in his field." Along NY Route 20 en route to LaFayette, are the wide open vistas of beautiful Cherry Valley. Now home of countless apple orchards, Beak & Skiff produces apple wine, hard cider, and apple vodka. At the entrance of the distillery, I saw this. After all of his brothers were picked, after any that remained had fallen to the ground, here he was, the last man on the tree. Tenacious to a fault. My photos, and everything I create, are dedicated to the one who instilled in me her lifelong love of nature. Born Alezbieta, called Elsie and Elsinka at home, and Mommie, Moomie, and Moo by me. In an event that would change the trajectory of her life, my Daddy was diagnosed with Hodgekin’s Lymphoma when I was 6 months old, and when he died 12 years later, my Mom became a young widow at only 46. After dealing with doctors, illness, medications and their resulting effects for over a decade, my Mother spent the next 40 years, until 8 weeks ago this morning, avoiding all of it. The irony is not lost on me - nor do I think it was on her, when she made the decision to make an anatomical gift of herself less than two weeks before her death - that I would be saying this to an audience of doctors and medical students. My Moomie wanted to be a teacher. She applied, interviewed, and was accepted to Albany State Teacher’s College, but thanks to the financial situation at home, she was unable to attend. It was because of this, that she spent the rest of her life learning. She believed that Education was THE most important thing in life. She worked from the time she was a teenager, to help support the family that didn’t have the wherewithal to help HER with college, and thereafter never took anything from anyone. She worked, with precision and minute attention to detail and accuracy, in a career as an Executive Secretary. She raised me alone, and educated me at the best institutions for a career in vocal performance and opera. She gave me all she didn’t get for herself. Toward the end of her working years, she began taking classes at the local college. She studied Art History, Music History, Philosophy, Italian, Mythology, Psychology, Sociology, and more. She was always the eldest in her class, but also the most prepared, and was able to answer correctly any question posed to her (although she always felt self-conscious about that). She was THAT student who always received the highest marks on every exam. This learning focused her energies for years. Then, she delved into science, nanotechnology, biology, health, astronomy, physics and quantum physics through books, podcasts, and the computer. She LOVED the inter-relatedness of learning. In recent years, in our nightly phone conversations, she marveled at that constantly. The more she read and learned, the more one thing would lead to another, and on to YET another, and then back around again. Another great love was Nature. She loved bouquets of wildflowers, and preferred daisies and forget-me-nots to the most elaborate cut flower arrangement. She loved spotting flowers and plants along the roadside, and going back to dig them up to plant in her flower beds. She loved picking winy-tasting elderberries, and thought that tart rhubarb was a wonderful treat without being made into a pie. She believed that doing anything to an apple other than eating it out-of-hand was a sacrilege, and a that boiled new potato was perfect just as it was. Moonlight on the water made her melancholy with it’s wistful beauty, and with the first star at night, the wish we would wish would ALWAYS be for the other. If the moon was visible to us, either apart or together, we sang, “I see the moon, the moon sees me” in harmony. Each time I left home, we’d make “Harmony of the Spheres” - by leaning our heads together and making our temples vibrate from outer space sounds, going up and down the scale. She loved picnic lunches, packed and enjoyed near a lake, or other spot of beauty. 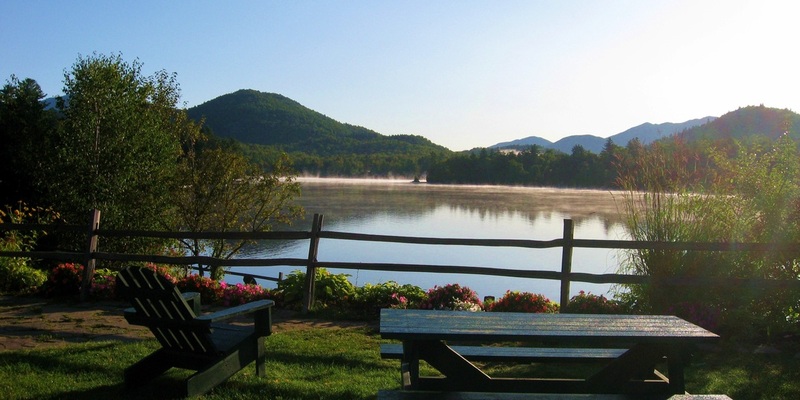 We shared 30 years-worth of picnics off of I-87 North, halfway between Auburn and Stowe, Vermont, where we vacationed together every year - and oftentimes more than once a year - at the Trapp Family Lodge. It was OUR special place, in the pristine air and all of nature’s glory, in the Green Mountains. In recent years, I’d hide a big box of second hand books in the trunk of the car - about anything she might be interested in - and surprise her once we were settled in our suite, and sitting out on our balcony. Then the bottle of prosecco would be uncorked, Trader Joe’s munchies would be served, and she would be in heaven. And THAT was my Moomie’s heaven, rather than that of any other belief system. Music was always a part of her life. She grew up with a Victrola, violin, and mandolin at home, and she learned to play mandolin from her brother. She’d play and sing and laugh like crazy with him and her sister. With me, she made up songs to sing for Daddy when he’d come home from work, and we were always singing and harmonizing around a fire on the shore of the lake at our cottage. She often told me that the old mandolin got her through many hard days after Daddy died, and then again when I left home for college. It is no mistake then, that when I had it reconditioned for her a year ago, as she nursed a back injury, her back made it so painful to play that she handed it to me to start playing. And so I HAVE every day since Christmas of 2012, and it is now getting ME through these hard first days without HER. What I loved most as her daughter, was to be able to get her going - bent over double - laughing at something silly. But it had to be clever, absurdist humor, and as hyperbolic as possible. For all of the loss in our lives, to be the one to make her laugh until she cried was one of my greatest joys. Another, was to see how emotional my singing and performing would make her. I taught a class on opera several years ago at Chautauqua Institution, and when I sang in class, I’d catch her with her head bowed down, not watching me. When I asked her later, she said she was hiding her tears. While my Mom could (and would) curse like a sailor in private, she was ever the lady in public. My friends have always described her as classy and elegant. And yet she was not concerned with appearances (except her hair, which she did for ages with two different sizes of curling irons, brushes, combs, picks, gel, AND spray). She believed that what was IN your head mattered more than what was ON it, or on your body. She told me that actions speak louder than words, and she embodied that. Although I was well aware of how much I was loved, it is only now on THIS side of the line of demarcation of my life that I see that her actions, everything that she did in her life, particularly after losing Daddy, were always and ever for me, and for THIS time of now truly living my OWN life. Her words, like her actions resound in me now. She summed things up after a long sleepless night in February, with “Never allow yourself to be a victim.” Her last words were “Love Life, Love Nature, Have a few kind friends.” And she said to me a thousand times, if she said it once, “Life goes on, Boo, life goes on.” And so it does, Moo. Those words were with my Mother her entire life, shaping her choices, her beliefs, and how she lived. So the words said to a patient, or a patient’s loved one, CAN and WILL stay with them; PLEASE choose them carefully. What you SAY can be stronger than any medicine, for better AND for worse. At 86, my strong, stoic, independent, intelligent, inquisitive, skeptical, always-questioning, beautiful Mother had no Primary Care Physician, took no medications, and died of undiagnosed and untreated congestive heart failure. She died on her own terms, exactly as she lived, not thanks TO doctors, but IN SPITE of them.